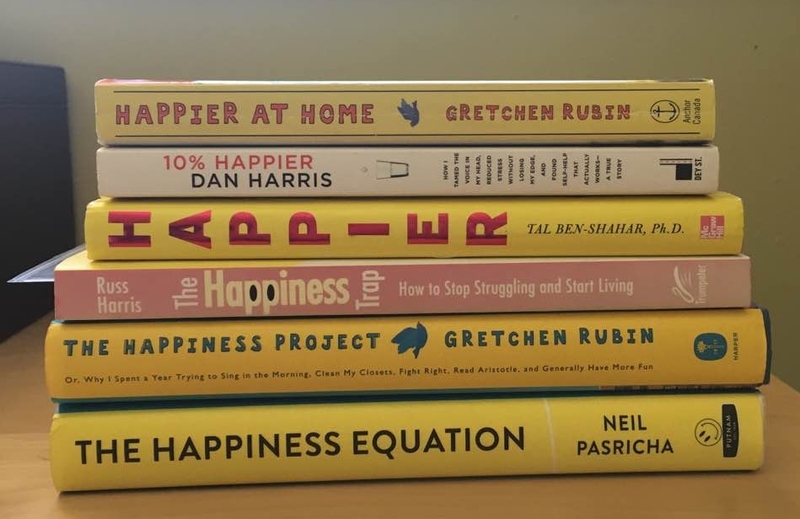 Looking for happiness? It's not where you think it is. Almost nine years ago I was a new mom living in NYC struggling to navigate the new territory of parenthood. With no family around except my younger brother, I suffered from postpartum depression (as I think most moms do who don’t have enough support). I was unhappy in my life and I felt like my life was no longer my own. Every day I went through the motions and was simply just “getting by”. My home yoga practice provided brief moments of contentment amidst my lackluster life. A few years afterwards I had my second son and continued this way for a few more years searching for happiness in my day-to-day life. Looking back, I can see clearly where everything turned around. In 2012 I began learning about Ayurveda and the art of self-care. This was a new concept to me. I slowly began integrating simple habits of eating dinner earlier, unplugging at night, going to bed earlier, waking up earlier and constructing a morning routine that included yoga and meditation. As my energy began to increase, by zest for life was awakened. Ideas began to flood in and my creativity began to flow. I woke up excited and motivated to tackle projects and create a business where I could share everything I was learning and applying in my own life. I built a health coaching business and began creating signature programs to help people get out of the rut and create a life in alignment with their dreams. Nine years later I couldn’t be happier in the life I’ve created. I feel so grateful to be able to do what I love every day - and I know that I made it all happen. People often ask me how I manage to do so much. Daily yoga practice + meditation, teaching 4-7 yoga classes a week, creating and leading 3-9-month long group coaching courses, writing, public speaking, and working no more than 25 hours a week - all while being a stay-at-home mom of 2 crazy young boys. First of all, let me be clear that I don’t “do it all”. Along the way I’ve had to learn how to manage my time, to say no to what doesn’t align with my values and goals, ask for support and get laser focused on what I wanted to get done. Every day I strive to live intentionally and mindfully. I set goals yearly and quarterly. I plan weekly and daily. And I block out distraction-free time to get stuff done. It’s been a long learning curve and I still have a lot more to learn. But I’m loving every minute of it because I’m doing exactly what I want. Over the years I've created systems to help me gain clarity on what I want, setting and reaching goals, and using my time wisely all while never sacrificing my own self-care. I've used accountability structures and searched out guidance every step of the way. Had I tried to do it all myself I would still probably be where I was 9 years ago. I consider myself happy even though not every moment is cherries and roses. I'm constantly challenged as I continually push my comfort zone. I get frustrated when things take longer than I think they should. I would love it if there were 8 days a week and I wish I could read by osmosis so I could learn more #alwaysastudent. But I live a rich, full and meaningful life. The goal of happiness, in my opinion, isn't being in a perpetual state of bliss. It's not indulging in sensory pleasures and "feeling good" all the time. That's a pipe dream that will never be possible and will keep us addicted and stuck in downward spirals of instant gratification. It's also doesn't stem from positive states of being that come about by daily gratitude practices or discounting negative emotions when they arise by "turning your frown upside down". Life comes with a spectrum of emotions and feelings from dark to light, each one to be equally embraced and honored. Our need to avoid or control those unwanted and uncomfortable feelings are precisely the thing that contributes to our unhappiness. Happiness, for me, is living an intentional, purposeful and fulfilling life filled with depth and meaning. It's a life aligned to my values and desires. It's consciously designing my days, weeks and years so that my life had direction and focus. Knowing that every day I'm moving towards my intentions and goals fills me with such deep satisfaction that it overshadows my need to "feel good" all the time. As we transition into fall, we have an opportunity to design the next chapter of our lives. One that's more aligned to what we really want- to those burning desires that continue to knock at the door of our hearts. In the same way we can't discount negative emotions – we can't ignore unfulfilled desires – they will keep resurfacing until we give them some attention. And time is ticking...years are slipping by. Wake up every morning psyched for your abundant life! This design-your-life boot camp will jumpstart a whole new way of being. A happier, more satisfying, more meaningful life. Are you ready?? Join now – it's FREE!